Emma Welton is a composer and plays violin, viola and double bass. She performs with Exeter Contemporary Sounds, Icebreaker, and Lavolta ensembles. She curates A Quiet Night In concerts of quiet contemporary music and produces Earworms family concerts. 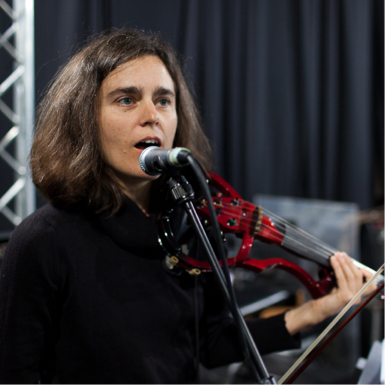 Emma’s composing is often driven by her desire to offer a response to global climate concerns. She studied music at Manchester University and composition and performance at York University. 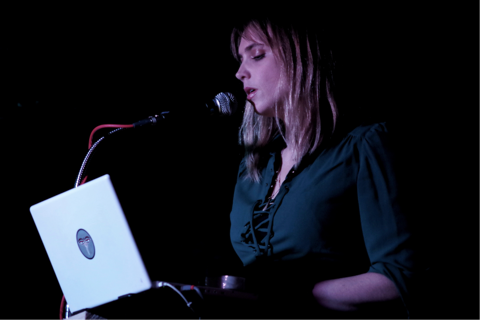 Sarah is an experienced and versatile vocalist who performs as part of experimental folk and electronics duo, Solarference. The duo's work is rooted in a repertoire of English and Welsh traditional songs, and they perform with voices, laptops, instruments and sound objects. Using their own specially designed, home-made software, Solarference sample and transform sounds live on stage. Winners of the 2012 Fatea Award for Innovation, Solarference have been described as "one of the most original acts playing English folk music" (fRoots magazine). Their first album, Lips of Clay, was released in 2012. In Summer 2014, they completed a regional tour of arts centre, supported by Routes South West, of a live soundtrack show to the 1920 classic silent film "Dr. Jekyll and Mr. Hyde" followed by Solarference's own arrangements of traditional folk songs with live sampling. Since then, Solarference have been developing new material for an album, which they have been touring to venues such as Salisbury Arts Centre, Bridgewater Arts Centre, The Plough Arts Centre and Einstein's Garden stage at The Green Man Festival. Sarah also works as a community musician for folk music development charity, Wren Music, as Head of the Vocal Programme. Kate Westbrook has toured widely throughout the UK and Europe, and as far afield as Canada, the U.S.A, Australia and the Far East. She has broadcast on radio and TV and has recorded more than 30 albums. Her vocal range embraces Contemporary Music, Music Hall, as well as Jazz and Popular Song. She has sung the role of Anna in The Seven Deadly Sins by Brecht and Weill with the London Symphony Orchestra, arias by Rossini with the Mike Westbrook Orchestra in Big Band Rossini at the BBC Proms, and songs by the Beatles with the Westbrook Band in Off Abbey Road. In the Contemporary Music field, Kate has performed Frederic Rzewski’s Coming Together, and Michael Finnissy’s The Transgressive Gospel. She collaborated with Heribert Leuchter on a music-theatre piece, Reich durch Arm, commissioned by WDR. Her band, Kate Westbrook and the Skirmishers, has made several albums including her neoteric music-hall Cuff Clout and The Nijinska Chamber. In the 2015 Bath Festival Kate performed Mike Westbrook’s settings of William Blake. Currently she is working with MikeWestbrook&Company in the Uncommon Orchestra A Bigger Show, with music by Mike and with her lyrics. 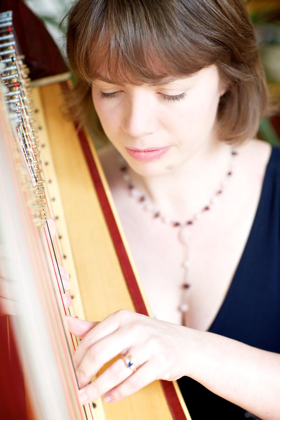 Sally is an experienced pedal and early triple harpist, and has also presented lecture-recitals on the history of the instrument (including to the Royal Musicological Society). Performing at numerous important venues, including the Royal Albert Hall and Birmingham Symphony Hall, her musical skills were developed by Jeanette Bevan (Royal Ballet Orchestra), Meinir Heulyn (Welsh National Opera Orchestra) and Frances Kelly (Orchestra of the Age of Enlightenment). Susie Hodder-Williams was born in Kent and studied English at the University of York and the flute at the Royal Northern College of Music. 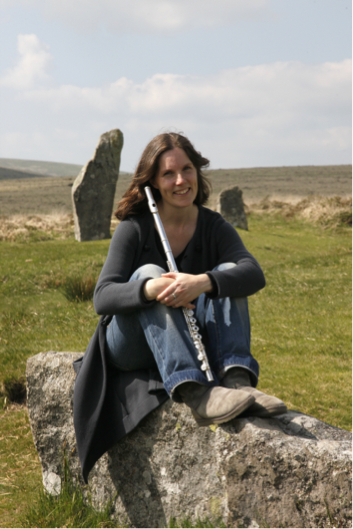 Her love of music ranges from the more traditional classical repertoire to contemporary music and techniques; the use of breath, so unique to the flute, Japanese contemporary music, and, enthused by the landscape of Dartmoor, how music connects with the land and how the flute has been used in folklore. She studied energy medicine at the Lakeland College and is inspired by how music is used and can be developed in the world of healing. She has recorded a series of CDs for FMR records exploring these two worlds: The Tao of Homeopathy, 2012/13, Three Meditations 2013 and a new CD for peace to be released next year. Concert tours have brought her to the Far East, Europe, around the UK and more recently to the US. In some of her freelance work, she has performed with the London Mozart Players, the Royal Philharmonic Orchestra and Concert Orchestra, Bournemouth Symphony Orchestra, New London Sinfonia, English National Ballet, Birmingham Royal Ballet and the Irish Chamber Orchestra. She has been broadcast on BBC Radio 3, as a soloist, chamber and orchestral musician, (on In Tune & Late Junction December 2nd 2010) played at the BBC Proms and recorded several contemporary and chamber CDs for FMR records. Her recording, The Mariner's Way, based on the landscape of Dartmoor, was released in 2010. The international composer, Stephen Goss wrote her a new piece for solo flute, entitled The Sea of the Edge, which was first performed at the Guildford International Music Festival on March 21st 2011. She has released the world première recording of this work on the FMR label, as part of the new CD, Northern Lights, which was given a four star **** review from the Independent. In September 2011, she toured the US and Canada giving the US Première of The Sea of the Edge in Downtown Music Gallery, New York. She gave its Ukraine Première at the 2 Days 2 Nights Festival in Odessa, Ukraine in April 2012. As a soloist she has played Bach's Brandenburg 4 and Vivaldi's La Notte in London, at St Martins-in-th-Fields with the London Concertante in 2013 and with the Belmont Ensemble in 2012 and 2010. She has performed Mozart flute and harp concerto in Canterbury Cathedral and Bach's Brandenburg 5 in other churches around the UK with the New London Sinfonia. Her latest CD, The Sound Within, is released in Autumn 2015 with the trio, Unlimited. Over the past few years she has been running a series of retreats in the Alpujarras, just south of Granada, Spain, exploring the three principles of Mind, Thought & Consciousness. Jane studied cello at the Royal Academy of Music in London during the 1980’s. She then gained a PGCE at Exeter University before returning to London where she worked as a primary class teacher and special needs teacher for many years. During this time she also taught the cello and freelanced with orchestras and chamber ensembles throughout London and the South East. 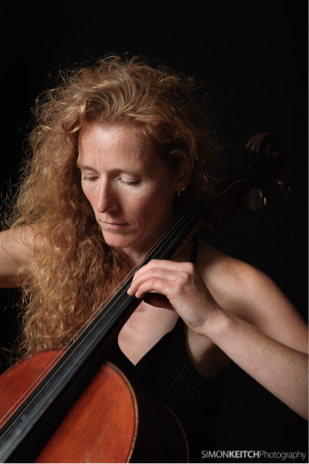 Since moving to Devon in 1998, Jane has established a thriving teaching practice, both in local schools and privately, as a cello and piano teacher. 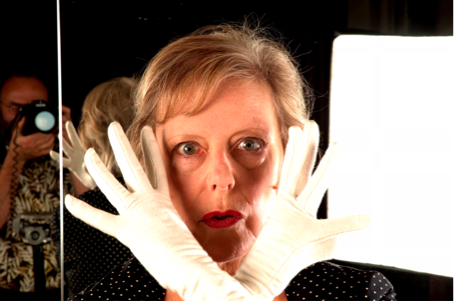 Jane also plays frequently with orchestras, chamber ensembles and opera companies throughout the South West, including the Ten Tors Orchestra, Orchestra South West and New Devon Opera. Jane is a founder member of Quattro Vita, a group that specialises in performing an eclectic mix of music ranging from classical, through European folk and jazz to pop songs and ballads. Jane has also worked both in the recording studio and on video for several Devon based musicians, most recently on a series of pieces for Five Rhythms specialist Susannah Darling Khan, and on an album of duets with Joss Stone. Chris graduated from the Guildhall School Of Music & Drama in 1986 having studied with Stephen Trier. 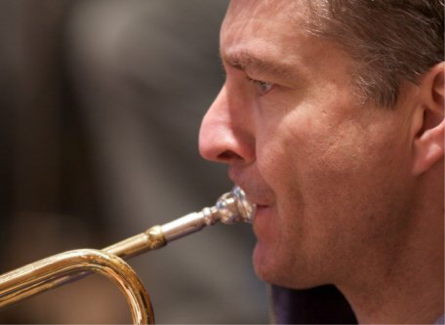 As a performer he's been involved with some of Britain's leading contemporary composers and ensembles including The Mike Westbrook Orchestra, BCMG, Steve Martland Band, London Saxophonic, Michael Nyman Band and The Delta Saxophone Quartet. 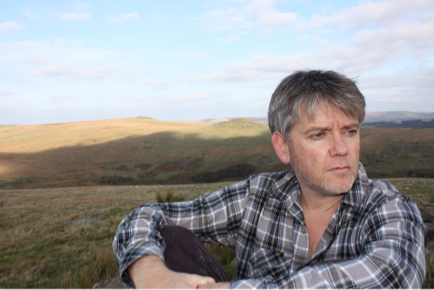 Since 2009, Chris has been exploring and developing a new area of improvisations and compositions with Susie Hodder-Williams, inspired by the natural history of Dartmoor. The Mariner's Way CD is the first result of this fruitful partnership which was launched at the Greenaway Barn Gallery as part of the Devon Open Studios. In 2010, he set up a performance series, in Devon, called Music on the Edge which has found its first home in the engaging Long Room, Drewsteignton. She then studied in Manchester on the Joint Course run by the University and the Royal Northern College of Music. After graduating in1994 she moved to Brighton and continued her studies at the Royal College of Music. During this time she founded the wind quintet Quintessence with whom she recorded 'disc one' which was given three stars by BBC Music Magazine. She also became a member of The Clarinet Section - a sextet of clarinets of all sizes – with whom she recorded the CD 'Le Jardin Feerique' which was given four stars by BBC Music Magazine. The love affair with orchestras not only took her into the orchestra that started it all, the Kent County Youth Orchestra, but also into many well-known orchestras including BBC National Orchestra of Wales, Royal Liverpool Philharmonic Orchestra, Northern Ballet Theatre, Glyndebourne Touring Opera, Goldberg Ensemble, Hanover Band and the Ten Tors Orchestra. Along the way Victoria has also given many solo performances including concertos in Aix-en-Provence, Snape Maltings and Woking; recitals on BBC Radios 2 and 3; at festivals including Ryedale, Chichester, Canterbury and Sevenoaks; and venues such as St James's Picadilly, St John's Smith Square and Fairfield Halls Croydon. More recently Victoria's musical exploration has taken her into jazz, reggae and improvisation. 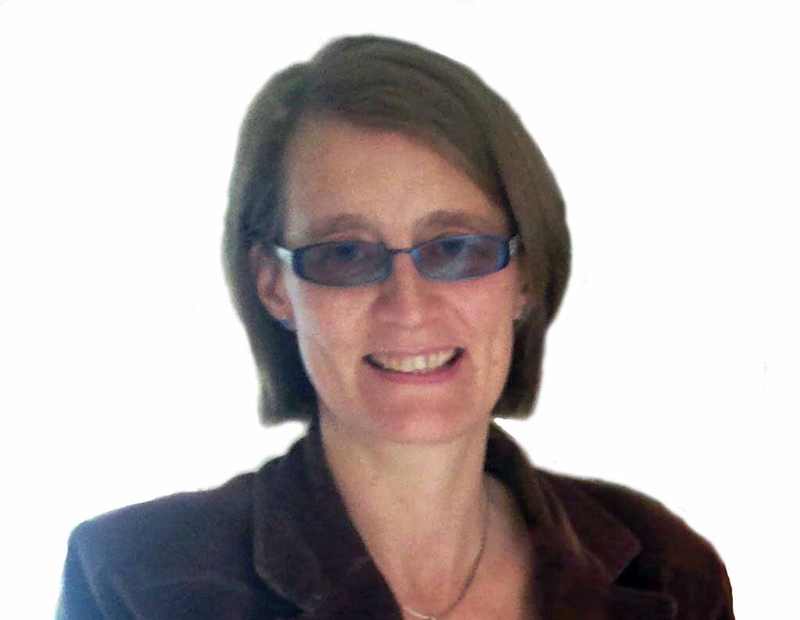 Victoria is also a qualified Shamanic Practitioner and is currently exploring the use of sound and music for healing. 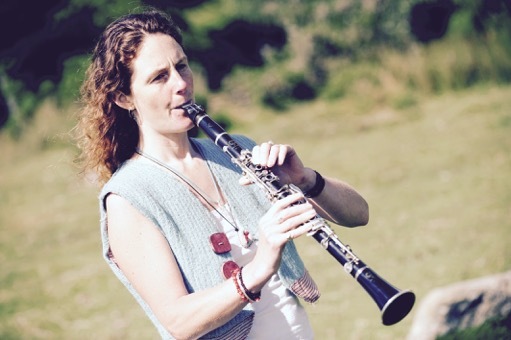 Victoria lives on Dartmoor with her husband and two children and enjoys barefoot walking and running, playing music out in nature, wild swimming and dancing. Andrew was born on a farm near Tavistock, Devon. His early studies were with Colin Sauer (violin) and Keith Lovell (viola) of the Dartington String Quartet. He went on to study viola at the Royal College of Music and the Hochschule fur Musik in Frankfurt, Germany. Andrew has had a wide experience within the profession - from work in symphony and chamber orchestras to chamber music and contemporary music ensembles. 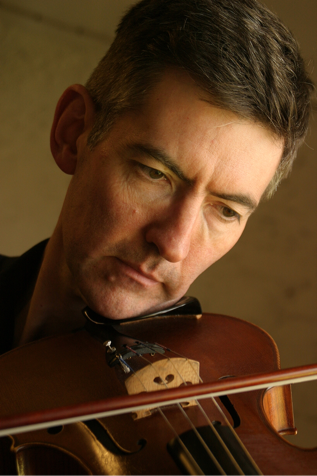 He continues to be in demand as a viola player in various groups in the South West including the Ten Tors Orchestra, Devon Baroque, Divertimento, Haldon Quartet, and as a teacher. Brian plays trumpet in Facade 2. He performs in numerous ensembles and conducts the award winning Devon Youth Jazz Orchestral. Michelle was brought up in the West Country and in 1987 attended the Royal College of Music in London to study Percussion. She has played with many professional orchestras including the Ten Tors Orchestra, Midlands Symphony Orchestra, British Philharmonic Concert Orchestra and The Palm Court Theatre Orchestra, producing 3 CDs. Michelle has performed at various venues across the country, including the Albert Hall, Colston Hall, Northcott Theatre, Festival Hall and Plymouth Pavilions, and has worked with many auspicious musicians and conductors such as Miguel Mera, Alan Hacker, Johnny Dankworth, Sir David Willcocks, Anthony Kraus and Harrison Birtwhistle. Michelle now lives in Devon, continues to play professionally and teaches Percussion full time. Sam Felton is a session drummer and percussionist based in Exeter. Since graduating from Dartington College of Arts with a BA (Hons) in Music Performance in June 2011, Sam has been regularly playing all over the South West for Orchestras, Shows and Wedding Bands. Sam regularly plays for musicals throughout Devon and Somerset, and has played at a number of Concert Halls throughout the UK, including The Royal Albert Hall and Symphony Hall, Birmingham. Sam can also be seen playing for a number of the regions top Party Bands, including his own band ‘First Edition’. Sam teaches Drum Kit at a number of schools in the Exeter area and runs IMS Central Devon, a company that provides musical instrument teachers to schools. He has also written reviews and tuition articles for ‘Drummer Magazine’ and ‘Sticks in Motion’. Andy studied Percussion at Guildhall School of Music and gained his AGSM in 1994. Since then he has toured the world as a Musician and Musical Director. 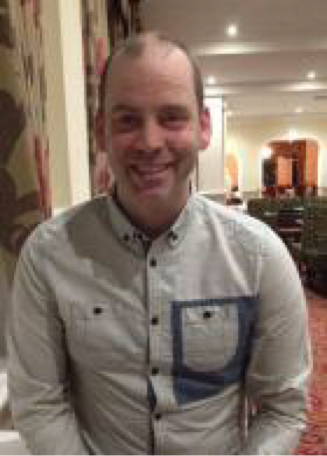 Along side this Andy has taught music from Pre-School to Degree level as a Music Specialist, Lecturer and Private Tutor.